Solar Leasing - long term agreements. Are they viable? Long term Solar Leasing – is it viable? 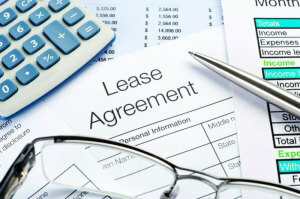 Recently there has been a lot of media attention around the proposition of long term solar leasing agreements. The concept is that you receive your solar panels and installation for ‘free’, and sign a long term lease agreement. To read more about the viability of long term solar leasing agreements, Frank and Muriel Newman from the Oily Rag have written an interesting article, featured in the Bay of Plenty Times. Authors: Frank and Muriel Newman, authors of Living Off the Smell of an Oily Rag in NZ. To read more of their content and follow them online, please visit their website. Some say that solar power is the way of the future, but that the stumbling block has been the high upfront cost of solar panels. So there was a ripple of excitement within the oily rag community recently, caused by a media headline. “Free panels place solar power within reach for Kiwis,” it exclaimed. However, on further reading, it is apparent that while there are lots of free things for the frugally minded, solar power is not yet one of them. The story was about a company called solarcity, which recently went nationwide with a new solar power option called solarZero, whereby homeowners can get solar panels installed on their roof at no upfront cost — as long as they make a 20-year commitment to pay a fixed monthly fee. According to the company this is a first for New Zealand but is not uncommon overseas. The “zero upfront” deal involves the householder entering into what is, in effect, a rental and servicing agreement. At no stage does ownership of the panels pass to the householder. The monthly fee ranges from $55 to $280, depending on the number of panels that need to be installed, which in turn depends on the power consumption of the household. The website has some handy calculators to show the potential savings. For example, a “normal” household (not that oily rag households are normal!) that pays $300 a month in power bills would save about $119, but out of that they would have to pay $110 a month to solarcity. Over the 20-year period of the contract, the payments would total $26,400. The net savings to the householder would therefore be $9 a month ($119 less the $110 fee), or 3 per cent of their power bill. In other words, the energy cost savings of $119 are split $9 to the householder and $110 to the solar panel provider. Since solar power is only generated during the day and storage cells are not included in the deal, customers would still have to buy power from their electricity company for night-time use. Although solarcity has provided a new option for those wanting to make a switch to solar energy, committing to 240 monthly payments is a big, long-term financial undertaking that requires a good deal of serious thought. What happens if you were to sell your house within the 20 years (quite likely given the frequency with which people move house)? In that case you would have a number of choices: convince the new owner to take over the remaining payments, pay to relocate the panels to your new home, or pay upfront the remaining payments due. For example, if someone 10 years into the 20-year commitment moves in to a rest home and is not able to convince the new homeowner to take over their contract, they would be left, in our example, with a bill of $13,200. Some may say solar panels add to the resale value of a home …we doubt that and take the view that the rate of innovation is such that the units may be of little or no value. It is also questionable whether it is wise to make a 20-year commitment to a solar power system, when the solar industry is undergoing rapid improvements in technology. The cost of solar power units has fallen significantly over the years and we don’t see any reason why this will not continue. Solar energy may be the way of the future, given the vast roof areas that could be used to capture the sun’s energy. However, having done some number crunching, we are not convinced that a very long-term rental agreement with its inherent uncertainties is as attractive as it might sound. Householders should consider the upfront capital payments and assess the saving in energy costs as a return on their investment. You can send in your ideas and join the Oily Rag mailing list, by emailing us at tips@oilyrag.co.nz or by writing to us at: Living Off the Smell of an Oily Rag, PO Box 984, Whangarei. Frank and Muriel Newman are the authors of Living Off the Smell of an Oily Rag in NZ. Read our wealth of tips at Oily Rag.